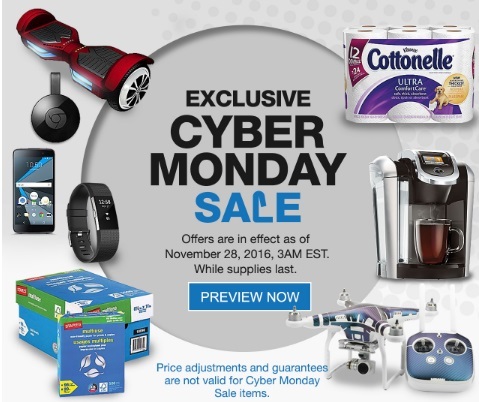 Staples has an exclusive Cyber Monday Sale Preview on now! See the link below to get a sneak peek of what the offers will be! Offers are valid as of November 28 2016 at 3am ET. While quantities last. Click here to browse Staples.